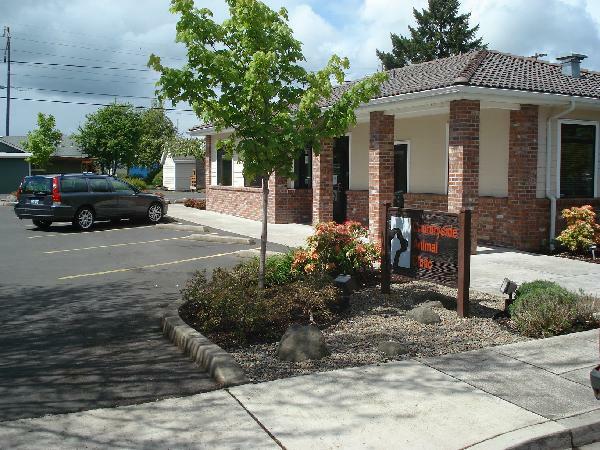 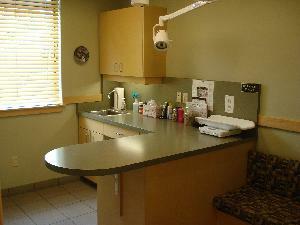 The clinic had an addition and remodel in 2003, and has gone from 760 to 3300 square feet! 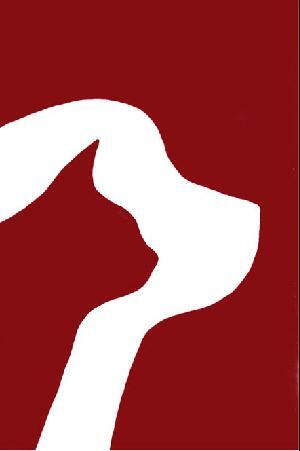 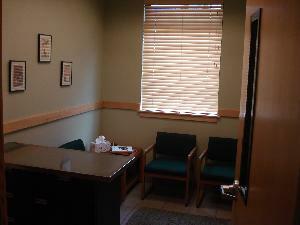 The following is a virtual tour of our beautiful, spacious, state-of-the-art clinic! 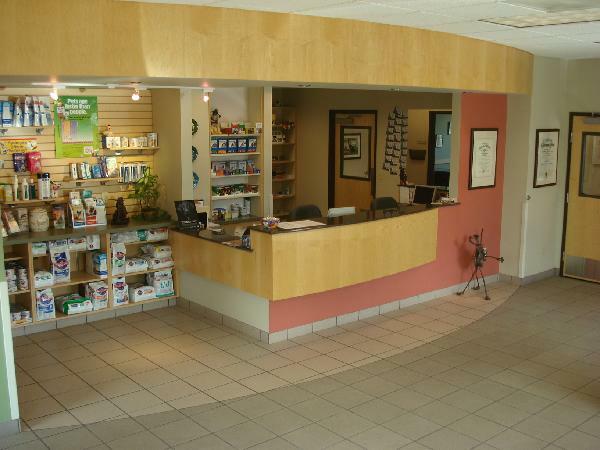 Our reception area and retail space. 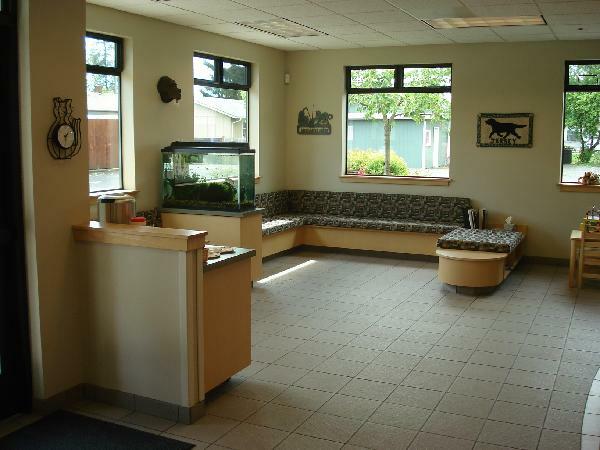 Our spacious waiting area with kid's nook and complimentary tea and coffee. 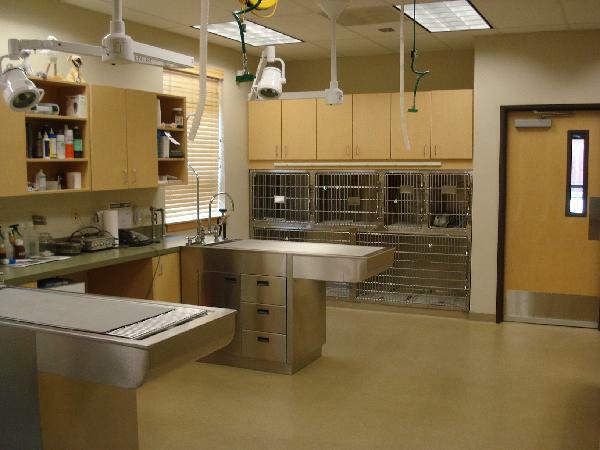 Our first exam room is designed to accommodate large dogs, and is equipped with an hydraulic lift exam table that also weighs your pet. 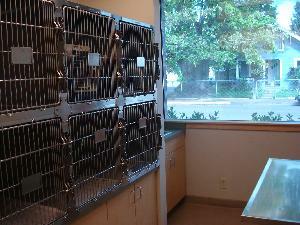 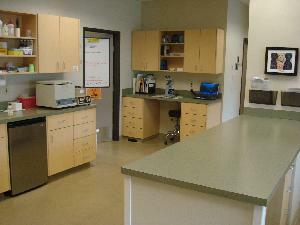 Our other two exam rooms offer a combination of functionality and comfort to better serve you and your pet! 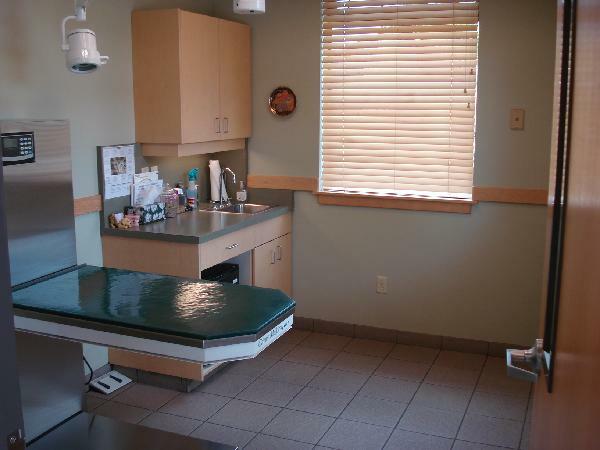 Our spacious treatment area has wet tables for doing dental procedures and cages where intensive care and post-surgical patients can be closely monitored. 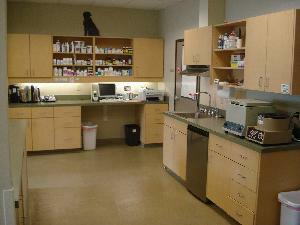 The treatment area also has pharmacy and laboratory areas, as well as an adjacent X-ray room. 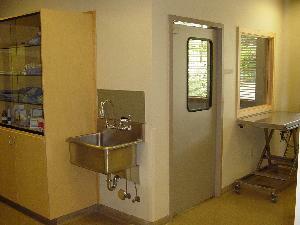 Our fully equipped surgical suite has a window overlooking the treatment area. 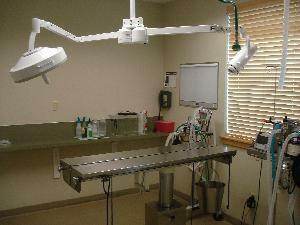 Anesthetic monitoring equipment includes ECG, pulse-oximetry and non-invasive blood pressure. 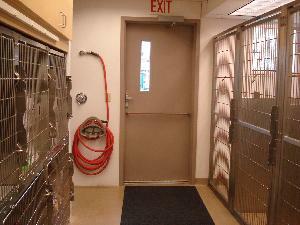 We also have separate wards for our canine and feline patients.